Congratulations to "Tammy Y" and "Cinette", the winners of Donnell Ann's giveaway. Thank you to all who participated! Many times people ask authors when they wrote their first story. For me, I can honestly say second grade. But writing was in me long before grade school. My mother, though she never wrote a single word, was/is always a storyteller. She didn’t have an easy life, and surviving it, made with some interesting idiosyncrasies. But the stories that came with it―I could sit and listen to her for hours. So much so, one day I’d love to write her memoires. Though my mother suffered loss, she never sounded defeated or tragic. It was what it was and she states without qualification that her days were filled with laughter and love. 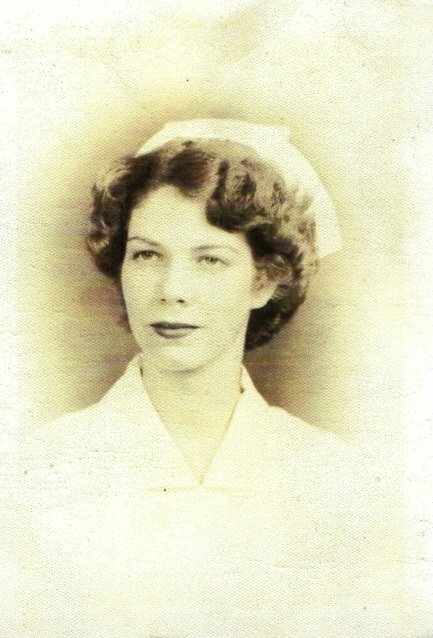 So much so that when it came time for my mother to graduate from high school, her grandfather, Poppy, sent her to nurse’s training in Jacksonville, Florida. From there the stories take on a life of their own. The teachers weren’t only nurses, they were nuns. And you ain’t seen more rigid house rules than for the student nurses living under the supervision of nuns. Nurse’s training back then wasn’t what it is what it is today, although I know becoming an R.N. these days is immensely challenging. (My daughter in law is an R.N.) But in the 1950s, student nurses would attend class all day and do clinicals at night. My mother talks about comforting a man who lost his legs but still suffered phantom pains; she talks about working in a tuberculosis ward and in a mental hospital. Their training ran a vast and comprehensive gamut. Armed with training and memories like these, my mother graduated with one of the highest GPAs and honors in her class. She would go to work in the Emergency Room at St. Vincent’s Hospital in Jacksonville where she’d encounter a very handsome navy corpsman. Determined to meet him, she ordered a gurney. But when he arrived, there was no patient. 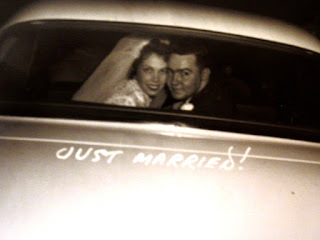 Two months later, my parents were married, and I became the benefactress of all their romantic stories. So, you see, I have to write, it’s hereditary. And the genre I choose and love most is Romantic Suspense. Pictured here is my mother’s graduation picture, a photo of her and my dad on their wedding day, and my mother, my sister and me today. So how about you? Do you love listening to the stories handed down in your family? Is there a storyteller in you? I’ll be giving away two copies of my second release, “Deadly Recall” to a person who shares and/or comments. Giveaway ends 11:59pm EST Feb. 24th. Please supply your email in the post. You may use spaces or full text for security. (ex. jsmith at gmail dot com) If you do not wish to supply your email, or have trouble posting, please email maureen@justromanticsuspense.com with a subject title of JRS GIVEAWAY to be entered in the current giveaway. Hi Trish, good morning, I love the story of how my parents met, which is why I tell it over and over. 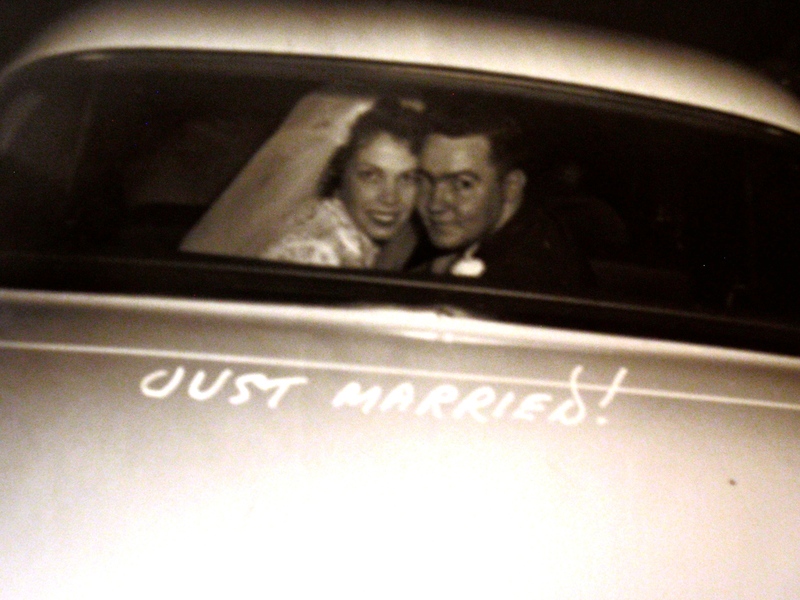 Of course my dad accuses my mother of chasing him -- and, of course, she did. :) Thanks for stopping by. The International Baccalaureate and then science writing killed all my storyteller tendencies, haha. Chris, maybe not. Pick up a notebook, keep it by your bedside and journal right before bed or when you wake up at night. Ha! Hysterical stories evolve about kids sitting in Mass, don't they? Your grandmother must have been something else! Seriously, write down her stories. :) Thanks for dropping by today. Hi, LS. Oh, I bet you do have some stories in you... Wish I could be a fly on your wall. Are you sure you're not a storyteller? I recommended above to Cris that she keep a journal.... Just sayin' :) Thanks for stopping by! What a great story about your mother!! It's always great to find out where an author gets her wonderful imagination that she puts in her books. Since Deadly Recall dealt mostly about/around the Catholic Church and Nuns did you draw on any experience while writing?? Hi, Cindy, thank you so much for checking DR out. Yes, I drew upon my Catholic school days to write Deadly Recall, but I must admit I never had anything terrifying happen to me at Sacred Heart School in Farmington, New Mexico. As a matter of fact, I'm still close to many of the kids (a couple years later :)) that I went to school with. I had nuns who took me under their wing in the writing world, by the way. Where I didn't excel in math, they saw that I excelled in writing and they pushed me. But you know us writers, we have to go and make things up. Thanks for commenting today. I am not a storyteller - but I do love listening to people's stories - and reading them :D Especially the ones that are handed down. My FIL used to tell wonderful stories about his family and his life. Willa, obviously you and I are in complete agreement. Storytelling is one of the oldest artforms, what would we do with out them. Glad you have a storyteller in the family! Thank you for sharing your mother's story. I am not a storyteller but truly appreciate the stories my family has shared with me about growing in occupied Europe during World War 2. My pleasure! As you can see I never knew my grandparents. Storyelling is one way we can connect with them. I can't even imagine all the stories that we lost during occupied Europe in World War II. How great that you've had some relayed to you! Thanks for stopping by and sharing with me! Cinette, email address is very helpful ;) I admire anyone who can do a good job of investigating their relatives and ancestors. I have a few of those wild family members too! I hope you're making notes and writing them down. Part of writing is if you enjoy it and it excites you, chances are others will too! Thanks for stopping by! Interesting post - loved the stories. 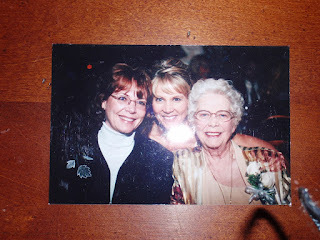 Sadly, I have no memories of family stories being shared; I guess we weren't a close family. Don't think I'm much of a storyteller, either. I do so enjoy listening to others talk about their families, though, and I've been known to be a bit envious. 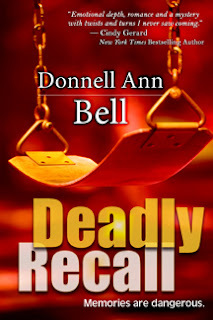 Deadly Recall sounds like a good read - perfect romantic suspense. Hi, Karen; What's great about storytelling is it doesn't have to be about OUR families. Storytelling is way too big for that. Thanks for commenting today and for your nice words on Deadly Recall. Thanks for sharing. I like hearing them. Donnell, your mom sounds a lot like mine. Mom was a great storyteller. I was always after her to write it down and toward the end of her life she started to. Thanks for sharing. Cindy, awesome! We should publish our mother's memoires together ;) Thanks for stopping by! We like nothing better than to sit around the table, cup of tea in hand, and listen to stories. It's fascinating. My Mother has also chased up a lot of family documents going back generations. Mary, that sounds like a fun family! Those documents are important, ya know? Might not seem so to a son or a daughter but to a grandchild or great grandchild, it's preserving family history. Thanks for stopping by! Erin, lucky kids. Exactly having the stories that go with those photos is a treasure to handdown. Our ancestors didn't have Facebook. It'll be interesting to see what the future holds in store for our kids -- we've got so much recorded. Thanks for stopping by! My Mother would tell me stories of her time during World War II. She was in China at the time when the Japanese invaded her country. She would tell me of how her brother saved her from drowning after she fell from the boat. I have been listening and writing notes that maybe someday, I might be able to write her stories. Kai, thanks for sharing. I can't imagine the emotion and pride you must have in your uncle and in your mother. These stories lead to so much understanding. Thank you for sharing your story! Thanks for sharing. I loved reading about your mom. I can relate about the nuns being strict. My aunt was a nun and I've met many tough ladies in the convent who didn't take any guff. Most of them are gone now and it's different. Still it brought back memories. Love the blurb on your latest book. Can't wait to read it. Hi, Sandy, so interesting that you're close to this topic. I remember asking about Louisville, Kentucky to write Deadly Recall and you helped me so much through our online chapter Kiss of Death. I loved to listen to my mother talk about the nuns who taught her. So many stories. So happy you can relate. Thanks for dropping by! Good morning, Ellis: Yes, I hear you about spammers. : groan : You know I think you have something there. Our parents had to endure a lot but didn't it make for such interesting stories. Thanks for your kind words on The Past Came Hunting. You're all entered in the drawing. Thanks for stopping by! You've piqued my interest. I would love to read your books. Hi, Joyce! Thank you. You're entered in the drawing. Happy Sunday. I would love to win your book. The Past Came Hunting was great. Hi, Tammy, thank you for letting me know. You're in the drawing! Your writing is fantastic Donnell. I know I am late for the draw (I thought today was the 24th...) but I just wanted to Congratulate you on your book!! Janet, thank you so much! I'm glad you enjoyed them!